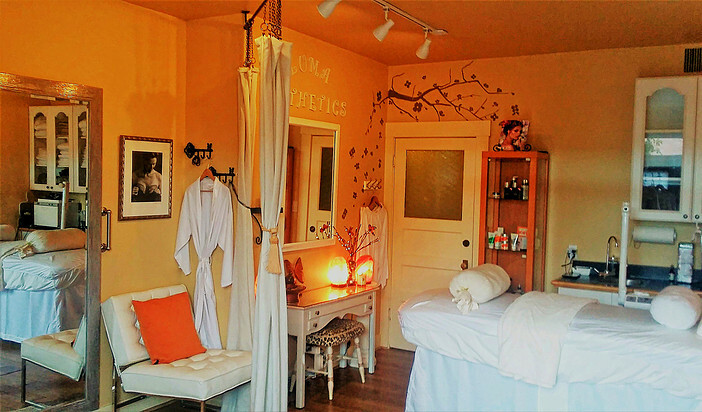 Slender Solutions Body Wraps has moved to PETALUMA. Q. What happens during a Suddenly Slender Inc ©, The Body Wrap™? A. First our wrap technicians will determine exactly what improvements you desire, they will weight and measure specific areas of your body. You will be fit into a special bra to increase, decrease or just firm and tighten the bust. Next you will be wrapped in porous bandages that have been soaked in our exclusive mineral solution. The wrap will be firm yet comfortable, when you're all wrapped up you will do some light exercise for an hour to enhance your results. Then you will be unwrapped, weighed and measured again and enjoy your visible body improvement! Q. Isn't it just water weight loss? Are the inches going to come back when I eat or drink? A. It isn't water loss. There is no sweating or heating involved. We are actually exchanging minerals for impurities in the body. You will feel very clean, energized and refreshed and look slimmer after your wrap. Q. Does this mean I become dehydrated, and that's why I lose inches? A. No. Our body wrap does not dehydrate, we actually re-hydrate a dehydrated body. You will not feel thirsty or tired. You can get as many wraps in a day as you want. We could not do repeat wraps and get further improvement if our wraps caused dehydration. Q. How long does the Suddenly Slender Inc © process take? A. For your first wrap, allow a total of 2 to 2 1/2 hours. This allows time for a free consultation where you set your face and figure goals, get weighed and measured, fit into the "It's All You!" bra, be wrapped, and exercise mildly in your wrap for 60 minutes. Then you will be unwrapped and your improvements recorded. Your second visit will require much less time. Q. When will I start seeing results? A. Immediately! And you will still continue to visibly slim down even after the wrap while the minerals continue to work in your system. Q. When should I come back for another wrap? A. Our wraps are safe to use multiple times in a day and produce long lasting results. For maximum improvement we recommend twice a week wraps. Your Wrap Technician will always be at hand to guide clients through the process, suggest specific nutritional products and tailor special programs catered to your own specific needs and desired goals, whether it is a younger appearance or a visibly slimmer body or both. Q. How long should I wait to eat before or after having a body wrap? A. Feel free to eat and drink anytime. But avoid eating heavily for an hour or so before your wrap. Our Patrons report a lessening of desire for sugar, salt and fats after being wrapped..
Q. I have sensitive skin. Will I have any reactions to the wrap? A. No, in 14,000,000 wraps delivered over a 41 year history we have never had an allergic reaction. It is physiologically impossible due to the purity and choice of minerals used in our Suddenly Slender Inc solutions. Our wrap materials are all-natural. The only negative side effect reported is that your clothes get very loose! Q. If I want to contour my problems areas and slim down quickly, do you offer packages? A. All Suddenly Slender Inc Licensees Salons offer discounted packages for those who are interested in being one or more sizes slimmer, many Salons will custom create wrap and supplement packages to get you to your target size and weight as quickly as possible. Q. How can Suddenly Slender Inc © guarantee I'll look 10 to 30 inches slimmer? A. On your very first wrap we guarantee that you will look 10 to 30 inches slimmer instantly. We ask women to wear in a pair of jeans so tight they have to lay on the bed to zip them, men are asked to wear in a shirt so tight that there are gaps between the buttons. You'll be amazed how much better your clothes fit after each wrap. We make that guarantee because we can do it! Q. How does Suddenly Slender Inc © work? A. Impurities, such as environmental poisons, chemicals in the air water and food all can cause the body to ‘bulk up’ in specific undesirable areas, our cutting edge supplements and wraps will assist the body in disposing of those damaging materials that can cause premature aging, wrinkles, cellulite, excess size, water retention, and lack of energy. All these problems will be addressed by our products, your Wrap Technician will advise you as to exactly what will give you the most benefit along with your wraps. Q. What does the Suddenly Slender Inc © body wrap do for skin? A. Your skin will appear smoother and tighter and feel like satin after being wrapped. Our wraps, skin care and supplements also focus on helping you fight the visible signs of aging. Q. I'll be getting married soon and running out of time to fit into my wedding gown. Can Suddenly Slender Inc © help me look fabulous on my big day? A. Suddenly Slender Inc™ is perfect for important occasions like weddings, parties, balls and reunions. We can customize a package of treatments before your big day, so that you look slim, trim and younger in the shortest time possible. Q. I have a lot of stubborn problem areas in my hips and thighs. Can Suddenly Slender Inc © help me? A. YES. We can do a great deal for those problems because our mineral body wraps help to bring the body into correct proportion. It is a sculpturing process, we have found that the body functions best in an aesthetically perfect shape. For stubborn fat areas, we recommend the Lipase Wrap followed by a SlenderTone™ wrap. This double wrap process has helped millions of women with heavy hips, thighs and legs. The recommended supplements combined with our wraps dramatically assist those who are water retainers. We have found this very effective toward handling these problems. Q. Will I be able to rest while wrapped? A. Yes, if you are ill, stressed or just tired ask about our Dream Body Laydown wrap. After one or more of these, most Patrons have the desire and energy to do the regular sculpturing wraps. We have found that if you can stay active while in your wrap it helps improve circulation making your results more dramatic. The activity recommended is not strenuous at all, moving around is usually all that is needed to get the full benefit of the wraps. Q. A healthy lifestyle is important to me. How does Suddenly Slender Inc © fit in? A. Here at Suddenly Slender Inc ©, your health is important. The treatment is very safe and it's for everyone, young and old. Besides aiding your body in the process of expelling impurities we are also infusing it with over 80 major and trace minerals as well as vitamins. Clients notice an increase in energy, smoother, tighter skin, and discover that they have better sleeping habits, feel so much more rejuvenated, look slimmer and full of energy. Were in the News Again!! Tyra Banks "All Wrapped Up"
Pamper someone you LOVE with one of our EXCLUSIVE Bodywrap Treatments.